One of the worst parts about moving house is the packing. It’s the thing people hate the most. I’m sure most people will say that if they could click their fingers and be at their new home, with everything unpacked, we would all love that power. 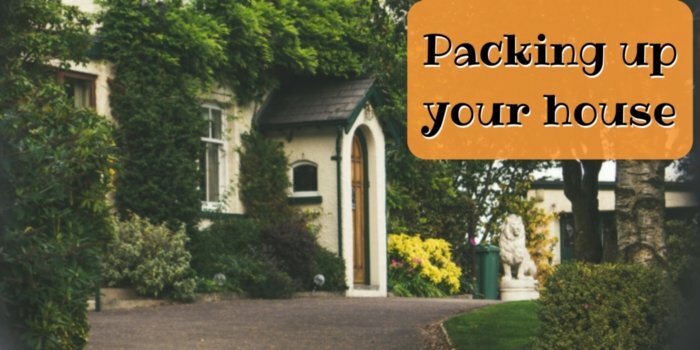 Unfortunately that isn’t the case, so we’ve put together some of our favourite pieces of advice to help you know the best way to pack your belongings. It is important that you have enough boxes for everything. To know how many boxes you might need, create small piles of items, around the same size as a box. This will give you a rough idea of how many boxes it will take to pack all of your items. If you get too many boxes then it doesn’t matter as you can store them away and use them another day. If you have small children, or are feeling crafty, you can create some great DIYs from left over boxes. You want to avoid your boxes from opening up or breaking during the move, which is why knowing the correct way to pack boxes is vital. Reinforce the bottom of your boxes with extra packing tape to prevent it from everything falling out the bottom. To fully protect your items wrap them up in bubble wrap or ink-free paper. Using newspaper will ruin your items as the ink can rub off and stain. You can also line your boxes with bubble wrap or ink-free paper. If you run out then using blankets and pillows is just as good. To prevent your boxes from breaking and being too difficult to move, keep the weight of each box to a minimum. 20kg is enough for each box. Keep the heaviest items at the bottom of the boxes and those boxes at the bottom of piles. This will prevent smaller, lighter object being squashed during the move. You can fill any small gaps with fabrics, such as: blankets, bedding or towels. This will also keep whatever is in the box safe. When you get round to packing your belongings, to make life easier begin from the top of your house to the bottom. The upstairs of your house can always be the most daunting, which is why it’s better to get that over and done with as soon as possible. Avoid using bin bags to pack items, such as clothes. Bin bags will tear; this could result in you losing some of your items during the move. It’s best if you stick to using cardboard boxes to pack your items. If you can’t find enough boxes then using drawers that you already own is the perfect solution. One thing to remember though when using drawers is to either lock or tape them shut. This will prevent them opening during the move and causing a bigger mess than necessary. When dismantling furniture, put the screws into a little bag and tape it to the furniture. Screws are always the part you will lose so this helpful tip will solve this problem. Once you have packed up your boxes, keep them separated into the different rooms. This will make life easier when unpacking in your new home. If you don’t want your current house to be filled with boxes, then investing in a self storage room is the perfect solution. Your belongings will be safe and guarded over by CCTV. You can also come and go as much as you like a slowly take boxes to your new house.